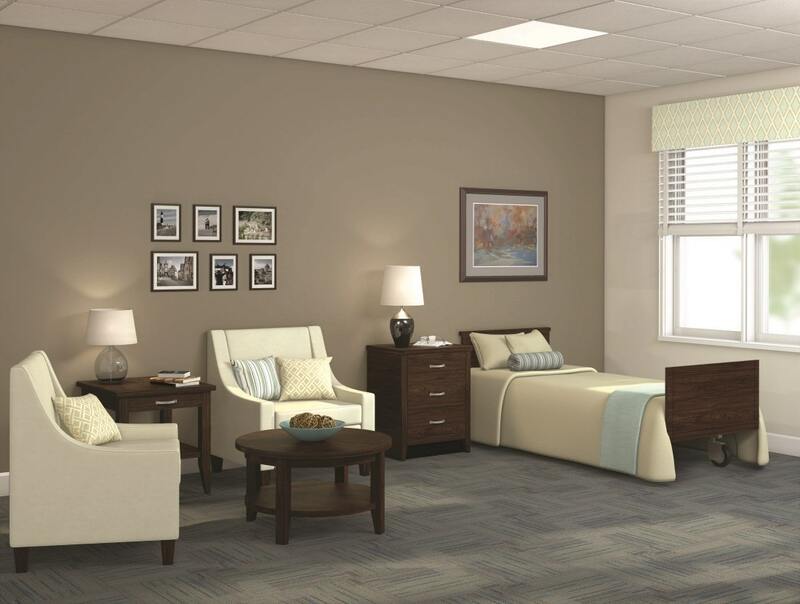 Comfort … Safety … Dignity … the essentials of senior’s quality of life, and the hallmarks of PalCare’s resident room casegoods. Add quality and beauty to any project with PalCare casegoods. Combining the best of modern automation with handcrafted care and expertise, every piece is manufactured in Wisconsin to the highest standards. Contract-grade construction and premium-quality materials deliver exceptional durability while maintaining a distinctly residential look and feel. Easy-to-clean surfaces and easy-to-open doors and drawers help preserve senior independence. And all of it is backed by our Lifetime Warranty to protect your investment. Select from a broad range of standard models, finishes, and hardware. PalCare can turn drawings and quotes around in just a few days and bring your creative ideas to life with full-color digital renderings. *Contact us today for additional product information and pricing. The 2700 Series features seamless, yet beautiful PerformEx 3D laminate tops and fronts with a residential, raised-panel design. PerformEx 3D laminate stands up to industrial-strength cleaners while providing the look of real wood. 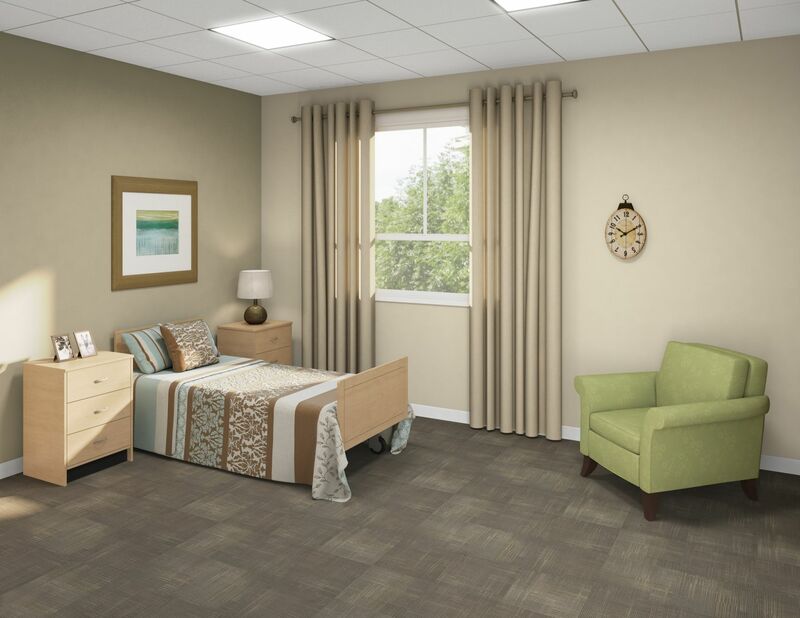 It’s an ideal surface material for senior living environments. The 2700 Series also features fully-sealed drawer interiors, vented backs, and easy-open drawers. The 2500 Series provides a more traditional design with solid-wood moldings adorning the top surfaces and front edges. All primary surfaces are durable, easy-care laminate that stand up to heavy use and industrial-strength cleaners. The 2500 Series also features fully-sealed drawer interiors, vented backs, and easy-open drawers. 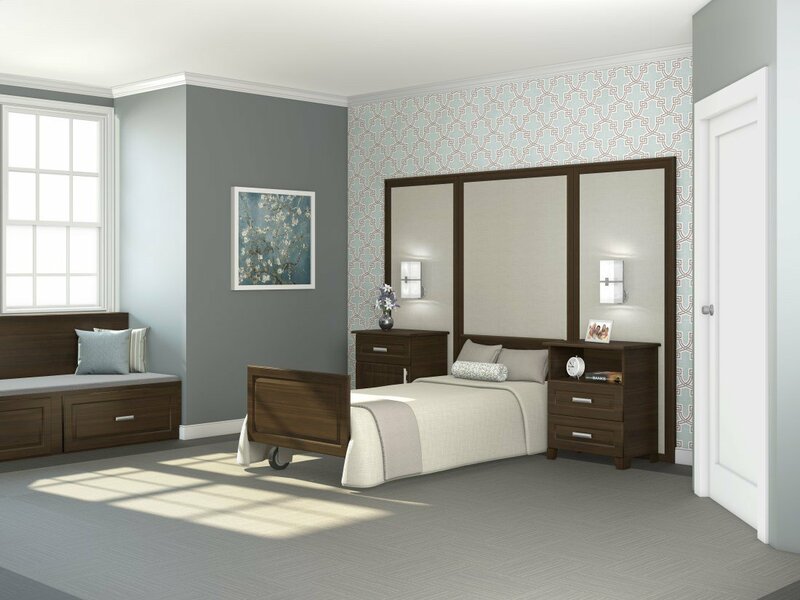 The 2300 Series delivers a transitional style via solid-wood trim accents combined with laminate surfaces. 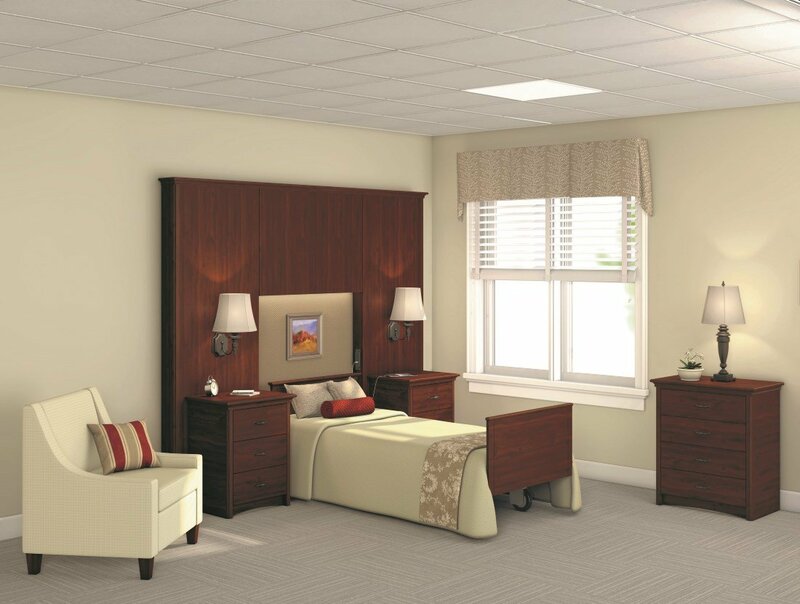 Features such as fully-sealed drawer interiors, vented backs, and easy-open drawers are specifically designed for demanding senior living environments. Select from a broad range of standard models, finishes, and hardware. 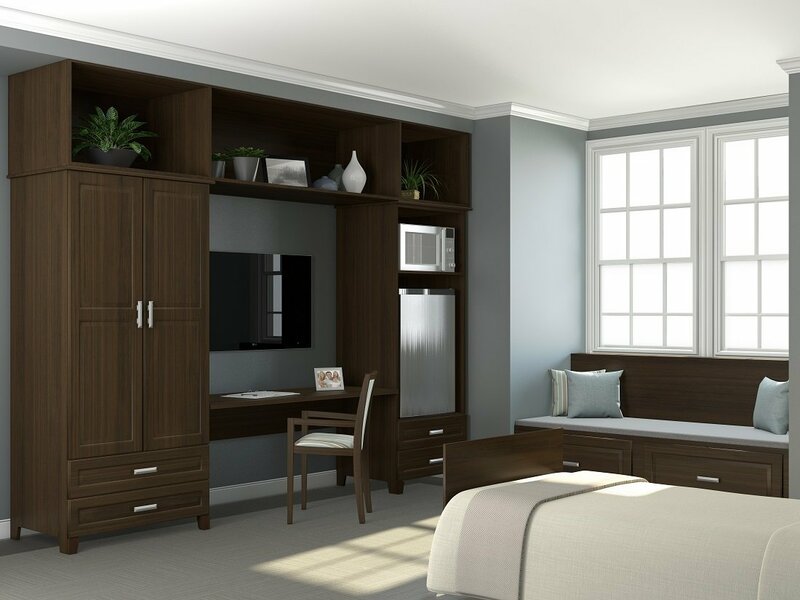 PalCare Living Environments’s 2100 Series casegoods deliver unmatched value combining quality, design and affordability. Manufactured in Wisconsin, every piece of the 2100 Series features contract grade construction and premium materials. Easy-to-clean surfaces and easy-to-open doors and drawers help preserve senior independence. And all of it is backed by our Lifetime Warranty to protect your investment.